You can end your search for tree health care in Peterborough, ON by contacting Van Till Tree Care. We have been in the arboriculture industry for nearly twenty years. Our arborists are well versed about the trees indigenous to the region. We know what pests and diseases are most prevalent and how to keep your trees in optimum health. Because our desire is to care for, maintain, and preserve trees, we are the perfect company for all your tree health care needs. Use our form below to request a free quote on your Tree Health Care needs in the Peterborough, ON area. When you purchase a piece of property, it is important to take the condition of the trees into consideration. Unfortunately, a lot of people don’t even inspect the trees they will be owning when they choose a new residence. This can cause significant problems for the new owners. Our arborists are experts when it comes to the trees on your property and they will be able to provide you with in depth risk assessments. This well help you ensure that the trees on your land are well cared for so that they won’t become a liability in the future. Maintaining the health of your trees will prevent damage from falling limbs and toppling trees. It will also guarantee that diseases and pests are treated and prevented properly. These things can spread to the other trees on your property. Untreated infections and infestations can be hugely detrimental and could even lead to the death of the tree. Call Van Till Tree Care to get a risk assessment for future tree health care processes. Tree health care pricing is contingent on a number of variables. Because it encompasses a wide array of tree care services, our company will provide you with a free quote to ensure all your tree health care needs are adequately met. It is necessary to consider the number of trees that will be evaluated, treated, and maintained. The lesser number of trees, the lesser the price will be. Size does make a difference. Larger trees require more product in the event they are being treated for pests or disease. Additional tree care services like removal and trimming will increase the final cost as well. But, removing dead limbs and trees is essential to maintaining a healthy yard and protecting your structure and valuables. Van Till Tree Care is prepared to offer you competitive pricing, guaranteed. Shane Vanden Tillaart has received a number of certifications including those from the International Society of Arboriculture and TRAQ. As the owner of Van Till Tree Care, he knows trees and hires others like him to offer you the excellent service you deserve. 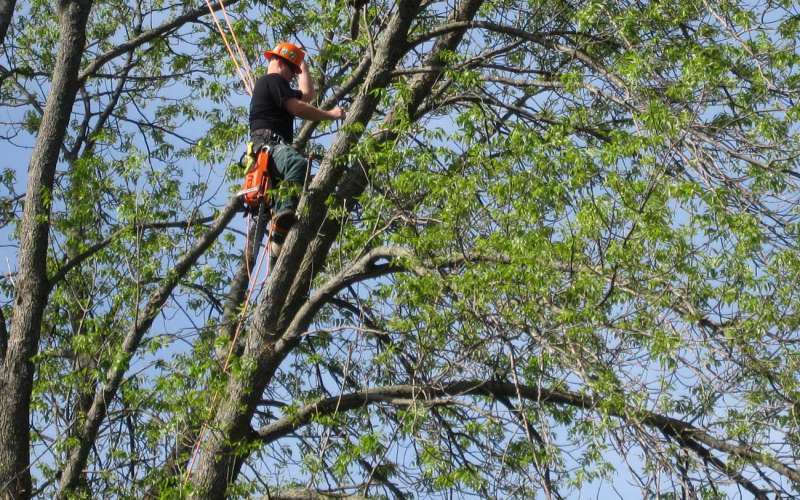 When you contact Van Till Tree Care, you can feel confident that you are getting access to professional arborists who specialize in the trees common to your area. We are prepared to safely care for those trees and offer you expert advice about maintaining them properly. You can get a free quote by filling out the online form or giving us a call today. We are available 24/7 and can even help in emergency situations.